I’m so glad you’re here. 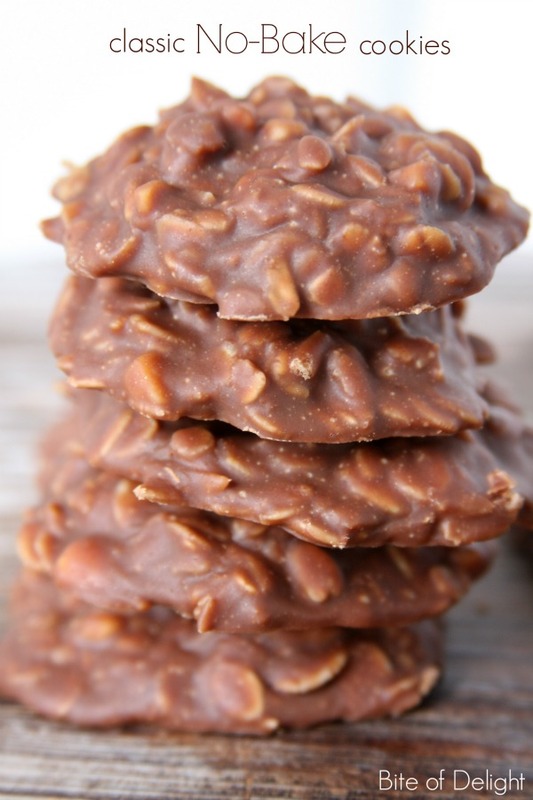 If you’re looking for the best no-bake cookie recipe around, then you’re in the right place! These easy, Classic No-Bake Cookies are one of our very favorites. No-Bake Cookies are easy, addicting, and have a tendency to transport you right back to childhood! A classic cookie with all the flavor and ease you remember from your youth. And since they only take 15 minutes to make, you can be reminiscing in no time! These no-bakes have actually turned into my husband’s specialty, and if he makes a treat, this is it! He doesn’t spend a lot of time in the kitchen, but he’s got this one down to a science. Even though I’ve made these cookies countless times, he’s taken over this important family duty, and since he’s tinkered with the details to perfect them, I’ve asked for his help on this one! Recipes that you can stir together and enjoy in 15 minutes or less are ALWAYS a good idea in my book! If you need an amazing 15 minute baked peanut butter cookie, this is my go-to recipe (usually minus the rolos and spiced sugar…I typically add those at Christmastime). There are a handful of tips that will really help you make the perfect no-bake cookies. Click NEXT to get the foolproof tips!